What is the defining role and purpose of a University Law School education in the contemporary HE landscape, graduate marketplace and broader society? What will be the core features of the globalized communities and professional sectors in which University graduates of Law and Criminology/Criminal Justice might live and work in the short, medium and longer-term? What will be the key features of the attributes, identities, professional and ethical values and knowledge base of those who will make a successful contribution in these fields? What are the educational environments, processes and practices that support (and/or challenge) the development of these characteristics, and meet the objectives of a University Education? Expert Knowledge, Pedagogy and (Legal) Machine Learning: In a world where technology and artificial intelligence can replicate much work traditionally done by professionals, whether in the legal profession or elsewhere, what skills and attributes, need to be developed within university study? What does it mean to be an ‘expert’ in Law or Criminal Justice, and how can we use pedagogy and technology to develop that expertise? 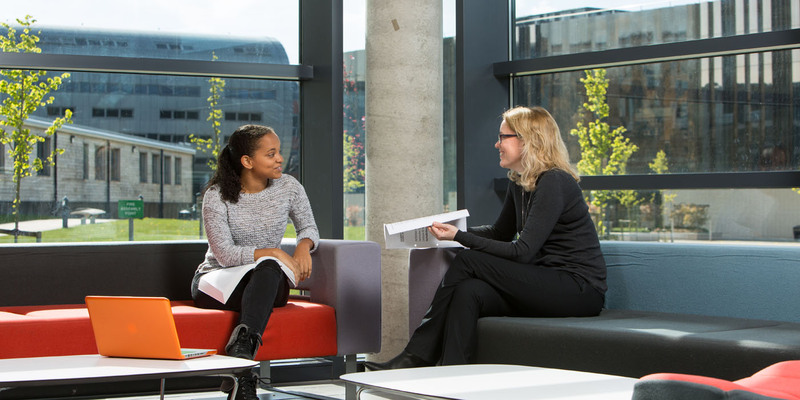 Internationalisation and a Global Law School: We seek to be a global law school, with an international staff profile and offering educational programmes that attract students from around the world. However, internationalisation does not, and should not, stop with student recruitment. How can we develop our curriculum, co-curricular activities and student support in ways which do not assume a ‘norm’ of a UK educated student, based in the UK and aspiring to work in the UK? How can we ensure that UK students have a real sense of working in an international environment, through the curriculum, through engaging with the School community, and through taking advantage of study abroad and summer school opportunities? Transitions, Community and University Exit: Traditionally, student retention has been conceived in terms of students continuing to be registered on their course of study at certain key points. This, however, may be an overly narrow conception of University exit, which we are seeking to broaden. Why do some groups of students disengage from the School community, meaning that they do not make the most of the opportunities that are offered? Why do some groups of students in particular not achieve their academic potential and, thus, their career potential? And what can we, as a School, do about it? The Centre also leads on the enhancement and development aspects of the School’s programmes, for example working closely with Programme Directors in relation to external benchmarks. This includes work in relation to proposed changes to legal education and training through research, consultation responses and continued innovations in the development and delivery of the LLB, and close engagement with the Learning and Teaching Network of the British Society of Criminology.